Realising its governance structures and practices were not giving the sport the best chance to succeed, Lacrosse Victoria formed a partnership with Vicsport to address the issue and set the sport up for a sustainable and successful future. The Vicsport Good Governance Project was used as a catalyst for governance change within Lacrosse Victoria and assisted in supporting a smooth process for all stakeholders involved. The Project facilitated a new forward thinking approach, encouraging members of the board to establish and continue to think of the future of the sport across all levels of the organisation, from board level, to the organisation, to the clubs and the sport as a whole. Lacrosse Victoria’s 2013-2017 strategic plan lists their fourth goal as “Deliver and promote ‘good governance’ to our community through transparent leadership and processes.” This ensures that all stakeholders are aware of the ongoing importance of good governance for the entire organisation. Whilst it was important to communicate to board members the role of good governance in the organisation, it was also vital that this was spread to all stakeholders so that their leadership was viewed as transparent and unambiguous. The overarching goal of the project was to ensure that the board in particular was operating to the greater benefit of the sport. Procedures that were put in place during 2012 have assisted the overall running of the sport. The changes have continued to filter throughout the entire sport with the flow on effect of the project throughout the past few years becoming increasingly evident. Although it took some time for the changes to be embraced it is now clear that it was all for the benefit of the sport, ensuring that the future success of Lacrosse was the top priority. The new election and induction processes made the transition for new board members much easier than it had previously been. With the induction process now documented, both new and current members were made aware of what needed to happen and when. It also helped to ensure transparency throughout the election process. 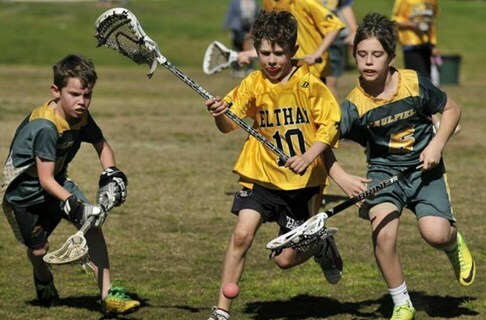 The consultation processes of Lacrosse Victoria have improved immensely during this time. Clubs now have the opportunity to provide feedback to the board on what they may or may not be doing right and provide suggested changes to be implemented and filtered down to club level. This has been vital to the improved relationship amongst local level clubs, board members and the organisation. The processes that have been put in place are now a vital aspect of the organisation. With a documented, standardised process that everyone abides by it is now clearer for the organisation, board and clubs to see how everything works and why things happen the way that they do. The skills audit introduced during the project was highly beneficial as it helped to attract members from outside of the sport onto the board and to formally communicate what was needed to assist the sport in a functional manner. After the skills audit was completed and the skills set communicated, existing board members were encouraged to assess their individual situation. During this process several members of the board identified that a new perspective was required if a transition was to occur towards a more strategically focused board. A number of the board members decided to take the courageous step to move on, providing an opportunity for others to stand for election to ultimately further the success of the sport and organisation. This new, more strategically focused board has evolved in recent years to the point where they now proactively encourage strategies across the organisation for the broader benefit of the sport. The board also proposes changes and encourages communication and feedback across all levels of the organisation. Lacrosse Victoria adopted a new constitution in 2014 which explicitly sets out the key governance changes implemented throughout both the good governance project and the organistaions onging governance work. The support of gender diversity can now be seen in the representation of the board and appointed directors have been included within the board composition instead of simply being co-opted members. Appointed Directors now have the right to vote and don’t have to be a member of the sport to sit on the board, as was previously the case. Prior to the constitutional changes many board members had to sign up as social members of clubs in order to sit on the board. This was harming the sport and limiting their pool of potential board members as there were professionals who wanted to join the board but were unable to as they did not play the sport. This was a long running barrier to good governance that did a disservice to the board and the sport as a whole. This has now been changed through the constitutional update and there is greater opportunity to recruit board members from outside the sport. This also means that new board members may be recruited based on the skills set required for the board at the time. New board members who are appointed to their positions are able to play a vital role in the governance of the organisation through their ability to independently assess the issues faced by the board in comparison to those who may have played or been associated with the sport for a long time. The importance of communication has filtered throughout the organisation with formal processes developed for interactions between the organisation, board and clubs. Kristen Stone (Development Officer at Lacrosse Victoria) said that “the process of communicating has evolved enormously and things like our news bulletin help to ensure that all stakeholders are kept up to date with what is going on.” This again highlights how relationships between the clubs and state body have improved, thanks to clearer correspondence between al stakeholders. A formal news bulletin means that everyone recieves the same information at the same time. In addition to this is the introduction of a consultation and evaluation process where clubs are encouraged to provide feedback to the board on the functionality and effectiveness of their actions. The formal processes have also helped develop a more strategically focussed board. The introduction of a board calendar and strategic agenda sees time set aside for board meetings used more effectively and efficiently. Board members are more aware of the need to identify discussion points through documentation early so that it is included in both the agenda and papers sent out at least one week prior to the board meeting. Whilst the whole process was a success for Lacrosse Victoria, Kristen Stone says that “being able to see it through from start to finish was really constructive. The changes that were implemented were for the good of the organisation and have really benefitted them all in the long run”. She said that one of the most exciting things from her perspective was the opportunity to get to help other sports in a similar position. Whilst Lacrosse Victoria weren’t originally up to date with all of their documentation, they are now able to share what they’ve done with other sports and encourage them to make similar changes. The ongoing behavioural change within Lacrosse Victoria is highly reflective of the positive nature of the organisation. It highlights the constructive and inclusive sporting culture that has been developed and adopted along with an ongoing commitment to change and working towards the greater good of the sport. The capacity of Lacrosse Victoria to address good governance increased with the support and assistance of external facilitators such as Vicsport, VicHealth and Sport & Recreation Victoria. It provided the organisation with the confidence to move forward with the required changes and to strategically plan for the growth and greater good of the sport.